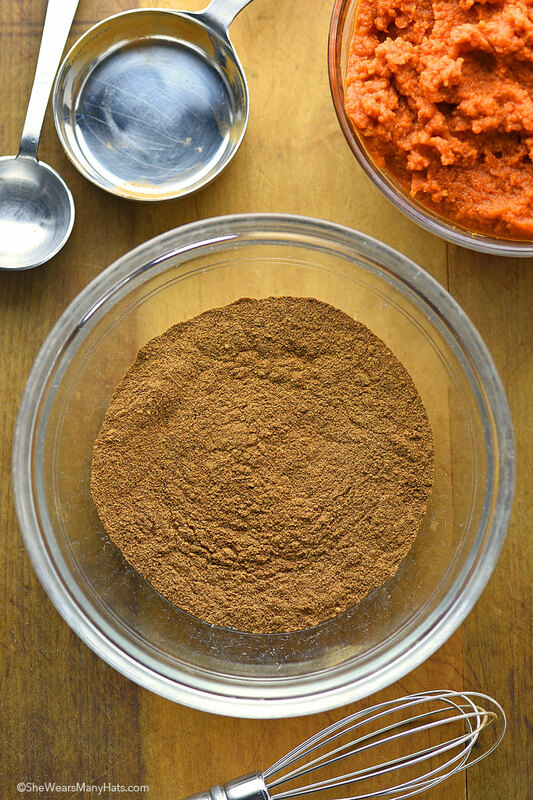 Make this Pumpkin Pie Spice Recipe in no time at all to use in all of your favorite pumpkin recipes. It seems that pumpkin spice flavor everything has become all the rage in the past few years. And no surprise. Those warm spices that mingle together to make up aromatic Pumpkin Pie Spice are inviting and cozy, just like a big flavorful hug. There’s no need to buy premixed Pumpkin Pie Spice. 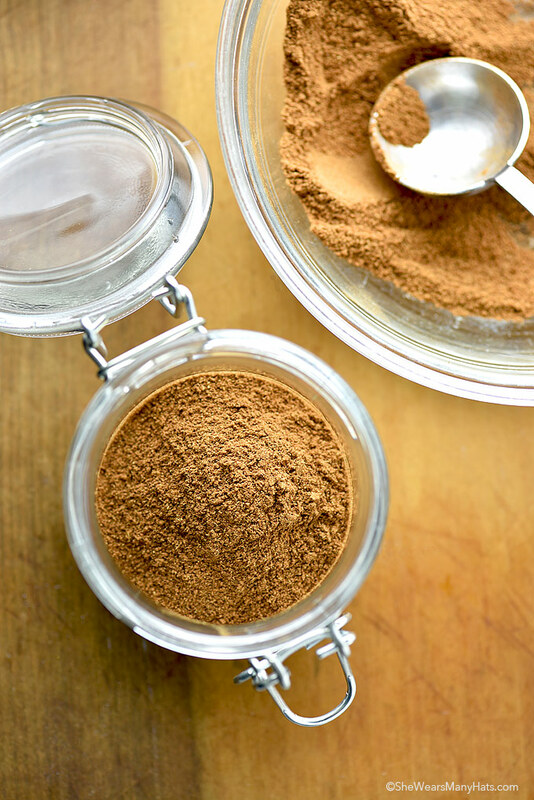 You can make your own Pumpkin Pie Spice mix right at home! In just a few minutes you’ll have a big batch ready to use in all of your favorite pumpkin spiced baked goods and beverages anytime you’d like. It only takes a quick whisking together of a few basic spices and you’ll be ready to spice anything up from a Pumpkin Pie, Pumpkin Bread, to a homemade Pumpkin Spice Latte whenever you wish. As I mentioned, Pumpkin Pie Spice is super quick and easy to make. 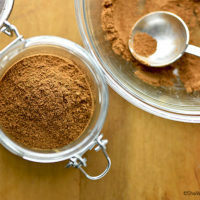 You will only need a few ingredients: a good amount of cinnamon, along with a bit of ground ginger, ground nutmeg and ground cloves (or allspice). Gather all of those spices and you are ready to go. Whisk all of the spices together in a small mixing bowl until incorporated. That is it! It really is that easy. Transfer the spice mixture to an air-tight container and store in a cool dry place. The recipe below makes a pretty good amount so you should be ready for all kinds of pumpkin-inspired recipes whenever the craving hits! 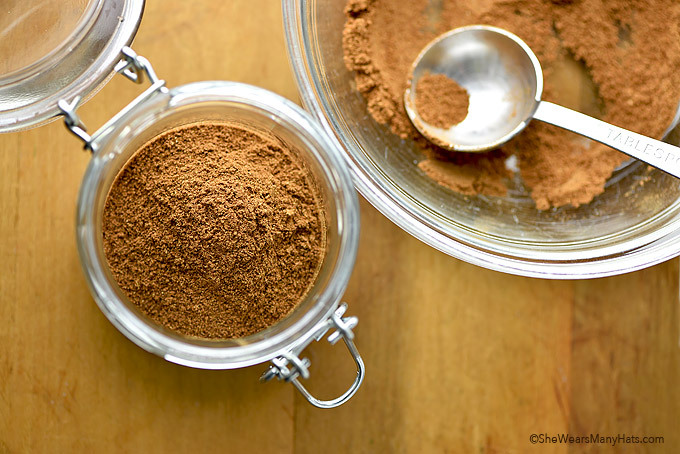 It's easy to whisk up your own pumpkin pie spice right at home in just a few minutes. Whisk all ingredients together in a bowl. Transfer to an air-tight container. Store in a cool dry place until ready to use. Originally published September 9, 2015. Ooh, what a treat this will be in the pumpkin spice latté–can’t wait to make it!! 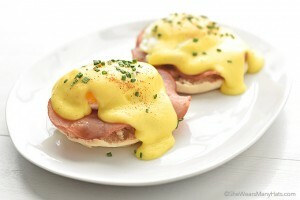 Dear Amy, I seriously need to make this. We are all about apples and pumpkin up here right now, even though it was 92 here yesterday. Not exactly New England fall weather. The pumpkin bread looks scrumptious! We were pretty hot here too, but I’m hoping if I begin cooking like it’s fall the weather will follow suit. I’ll certainly use this in my coffee with a shot of pumpkin flavored liquid coffee mate!!! YUMMY!!! wait for ALL things pumpkin! Thank you s0 very, very much; my whole body is smiking!! You are very welcome, Karen. Bring on the pumpkin! I meant *smiling* instead of smiking. But. whatever! Maybe smiking will be a new word~~ combining smiling and liking! Either way, this will be a favorite of mine for sure Much cheaper than my favorite (DD) and I can have it whenever I want it (like always) . My freezer is small, but it can hold enough Liquid Pumpkin creamer to last a year long! NIRVANA!! Well thanks for posting this. I was on my way out to buy some this morning but i can make it in less time than it will take me to drive to the supermarket!